When I was younger, my absolute favorite movie of all time was Aladdin. Heck, to this day, it’s still my favorite Disney movie. This is due almost entirely to the Genie, hands down my favorite animated character of all time. 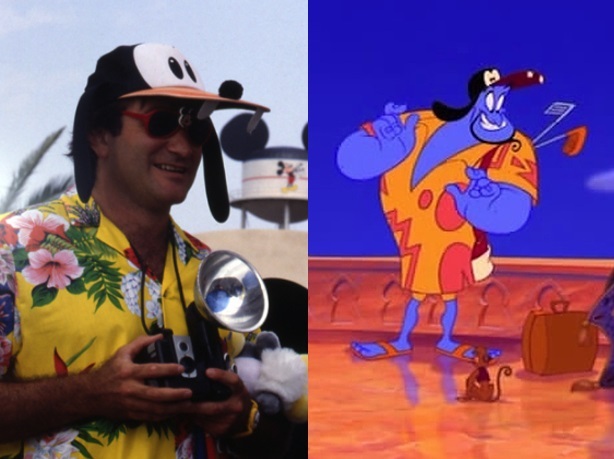 When I was a kid, I loved the Genie because, every time he was on screen, he was quick and flashy and fun to watch. As an adult, I appreciate the animation on the Genie all the more, but even more so I LOVE Robin’s voice work as the Genie. He is always quick with a joke either involving word play or a reference of some sort. When I found out most of Robin’s lines were ad-libbed, it boggled my mind. How can someone be so funny? As I’ve grown older, I’ve seen more of his work. I know how good of an actor Robin could be. He could play a wide variety of characters: a goofy alien that sits on his face (Mork), a wild man who grew up in a remote jungle in a board game (Jumanji), heck, he could even play a woman pretty well (Mrs. Doubtfire). He had a great presence on the screen in every movie he was in. He’s probably had one of the most one of the most eclectic acting careers out of any actor. My favorite role of his (you know, aside from the Genie) is probably Armand Goldman, the owner of the gay bar/club in the Birdcage. If you’ve never seen that movie, I highly recommend it. It’s one of the best comedies of all time, period. Robin, as Armand, is just… sheer genius. And the character has so many distinct moments where he’s not only funny but heartwarming. I do urge you to watch that movie if you have the time. I promise, you won’t be disappointed. There’s no doubt Robin had acting talent. Still, his acting isn’t what I admire most about him. My favorite part of Robin’s public personality was his sense of humor. Robin Williams’ stand up is some of the most consistently funny stand up I have ever seen. I’ve probably seen his Live on Broadway special half a dozen times by now and it still cracks me up. Robin is, I believe, one of those special comedians that can go on a tour, have a script for his show, and still make it so that you’ll never get the same show twice. He was just that good at making things up on the fly. One of his funniest moments for me happens in his Inside the Actor’s Studio interview where Lipton asks him, and I quote “Do you think faster than the rest of us? What the HELL is going on up there?” and Robin goes into a 5 minute completely off-the-cuff routine with a woman’s scarf. When Robin was “on”, he went all the way and didn’t bother to pull himself back. His episode on Whose Line is it Anyway? is my favorite episode of that show of all time. I was fortunate that I was able to see part of his Weapons of Self Destruction tour when he came down to Miami once. It’s a night I’ll never forget. He had me laughing consistently from start to finish. 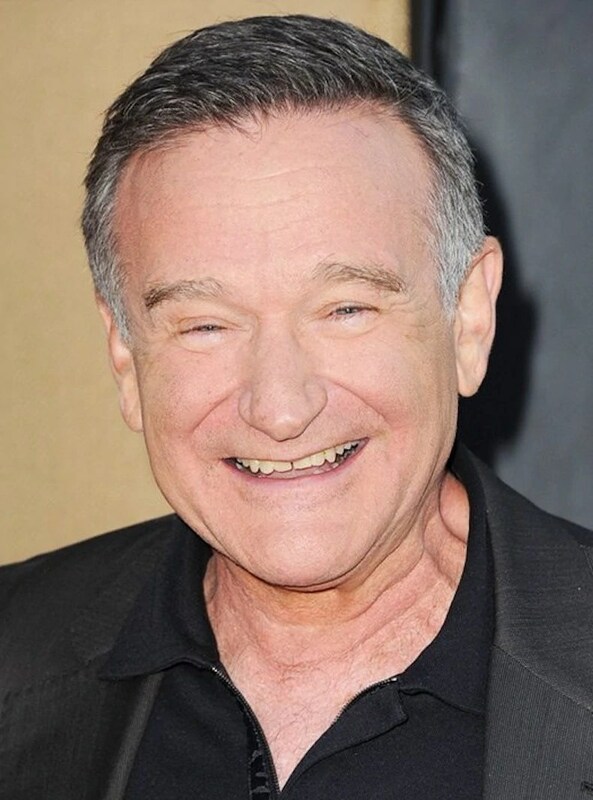 Mr. Williams, I never knew you personally, but you had a profound impact on my life. Much of my sense of humor comes from watching you and wanting to emulate that energy. When I had a review show, I made a character I named Genie that was based on (or outright ripped-off from, depending on your viewpoint) one of your greatest roles in my eyes. Your influence made me want to be a stand-up comedian when I was younger, a whim that has thankfully diminished as I don’t quite have the talent for it. You brought such joy to my life and to the lives of so many others. Your brand of comedy was unique only to you and there will never be anyone like you again. Thank you for… just everything you’ve done.